This butter cleanser fulfils several functions at once. 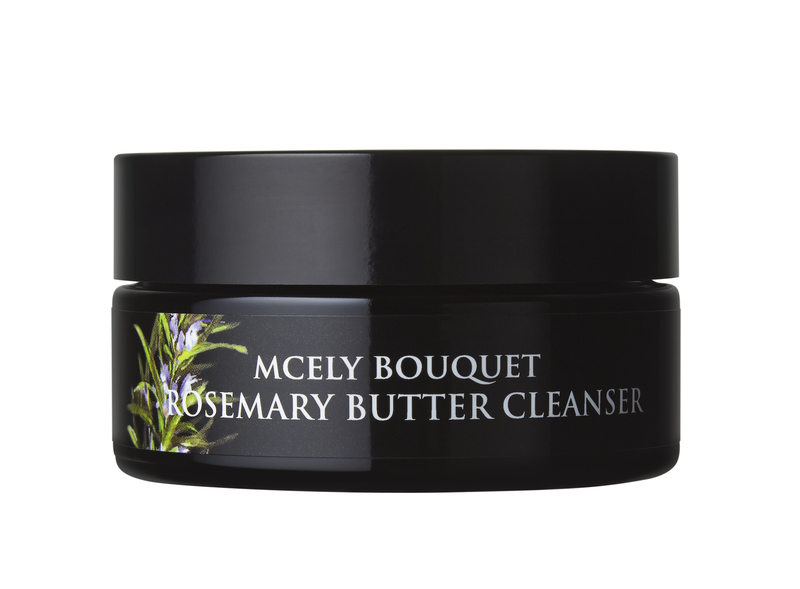 While your skin is gently cleansed a delicate massage with rosemary stimulates blood circulation and a little army of active substances hydrates and regenerates copiously as you wipe your skin with a warm wet cloth. Fragrant aromatherapeutic essences clear and calm your mind and the skin stays fabulously scented. Rosemary, jojoba, lavender, camomile, melissa, cypress. Let the butter melt in your hands and apply onto dry skin. Massage gently with your fingertips in a circular motion. Cleanse thoroughly with a warm wet cloth. Tip: Treat yourself to a long face massage using Rosemary Butter Cleanser once a week, maybe while watching a movie. You can leave the cleanser on your face as a mask for another 20 minutes. Finally, finish cleansing according to the instructions.